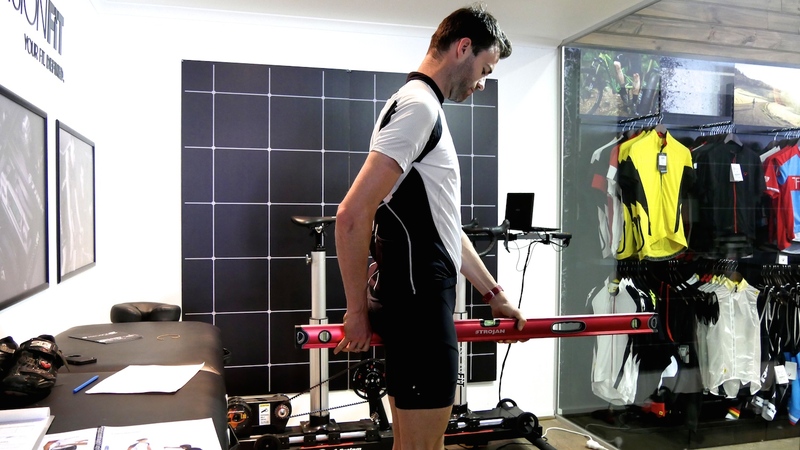 Understanding Bike Fit: How Does It Work? Do You Need One? Bike fitting is the process that involves pairing a rider to their bike to attain the best performance, while minimising any chance of injury. Cycling is a very low impact activity but even so, problems can arise if you’re not set up correctly. When you ride your bike you complete thousands and thousands of pedal revolutions in a rather fixed position, so if you’re slightly out with your ‘fit’, that can amount to discomfort and even injury. It’s not only the unnecessary position-related injuries that can make bike fitting important, but also the idea that your position can be optimised for your needs, whether that be performance-based or not. I always recommended speaking to a professional bike fitter before buying a new bike (even if it’s just basic bike fit), as fitters have seen and heard it all when it comes to comfort, and will quickly assess how to best set you up. 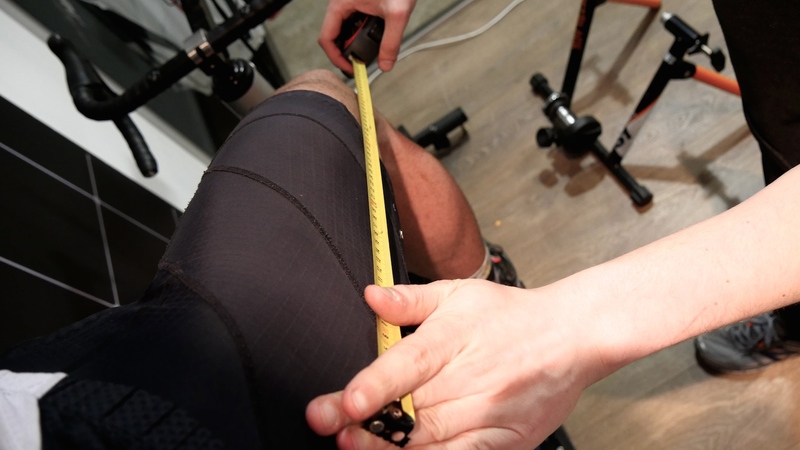 This resource will help you understand what gets assessed when you get a fit, and below I’ll take you through my own experience of a professional bike fit at Cycles Galleria. Stand over the top tube and if there’s a few centimetres clearance that’s perfect, right? A lot of people assume that bikes come in different sizes to suit different body heights. While that’s true, fit is much more complicated than height and top tube clearance. 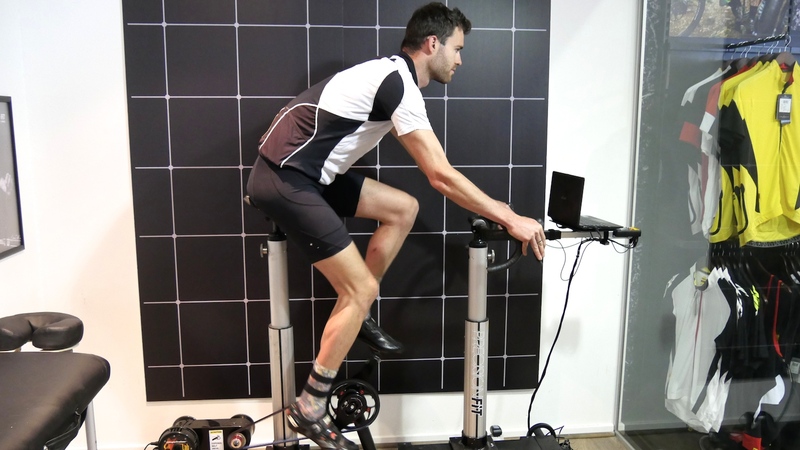 Here are a few other factors that are looked at when determining a good bicycle fit. Hamstring and thoracic flexibility, as well as hip flexion are very important for your bike fit and will largely determine how upright you are set up. The key tests for flexibility are: reaching for your toes, the straight leg raise while laying on your back, and a hip restriction test (bringing your knee up to your chest). More flexible riders will have the option to be positioned lower on their bike. Bikes are perfectly symmetrical, however bodies tend not to be. Between left and right sides, you may have different height hips and shoulders, or you may have a leg that is slightly longer than the other. Some people rotate their shoulders forward, other people have a foot that is more angled out. Everyone is asymmetrical and it is up to a bike fitter to assess and take this into account when making you comfortable on the bike. For best performance and lowest chance of injury a fitter will try to make you as functionally symmetrical as possible. Bike saddles play a major role in your fit. The wrong saddle generally results in you moving all over the place, which impacts your bike fit and can have a flow on effect to other parts of your body. Saddle come in different shapes, widths, firmnesses and cutaways which are optimised around your riding position. The right saddle for you will only be right when your fit is right! To learn EVERYTHING there is about saddles, check out my saddle comfort resource. 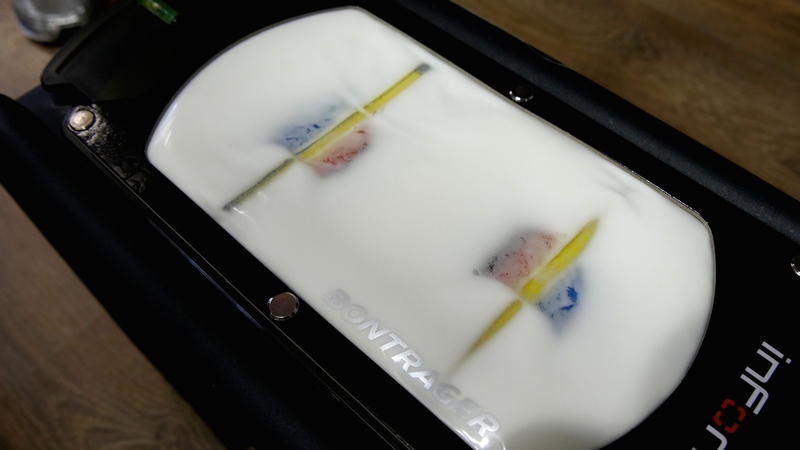 Measuring my sit bone width with Bontrager’s Sit n’ Fit system. My sit bone width showing yellow or 138mm. Core strength is also key for riding a bike. People with good core strength and flexibility can be positioned much lower than those without. Your core strength will resist gravity and allow you to maintain the same position on a bike for many hours. Holding a ‘body plank’ is a good quick test for your core – anything over 90 seconds is great. Sometimes an ‘ideal’ bike fit isn’t actually right for you if you’re accustomed to something different. If you’ve been riding in an ‘incorrect’ position for years and years with minimal issues, a bike fitter will likely make minor adjustments to that position rather than starting from scratch. Bike fits are optimised depending on your intended use. If you’re riding hard and fast for short periods, your positioning and even saddle will be different to if you ride easy for short periods. Spending long hours in the saddle necessitates a different position again. Make your intended use clear to a bike fitter for the specific bike you’d like to fit. A basic fit can be completed in around 15 minutes. You will be placed on a stationary trainer on a bicycle while a fitter assesses how your body is working with your bike. This fit is often completed without measuring devices such as lasers, levels and goniometers – it is mostly visual and based on feedback from you. A pro bicycle fit takes 2-3 hours to complete, and often uses an adjustable fit machine to make millimetre by millimetre adjustments. A pro fit starts with a discussion about your cycling goals, then your body will be assessed closely for any anomalies as well as your level of flexibility and strength. You will either be fitted using an adjustable fit machine, or on your current bike. 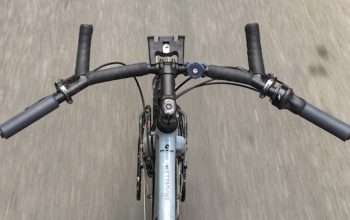 The main advantage of a fit machine is that you can make quick changes to your body position while cycling, rather than swapping out spacers, stems or seat posts. There are a number of comprehensive fit systems about: check out Retul, Shimano Bikefitting System, Guru, BG Fit and PrecisionFit. 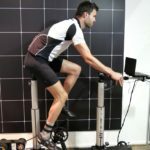 Who Will Benefit Most From Comprehensive Bike Fitting? People who experience discomfort or have medical issues. The full body assessment will pick up reasons why you might experience discomfort. You’ll be assessed for body asymmetries and will be given the time to sort out every small niggle. 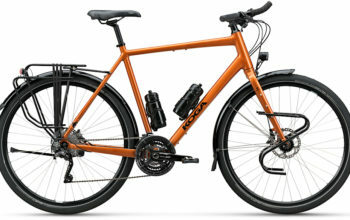 People who don’t currently own a bike but want to start doing it a lot. If your body is conditioned around running, or perhaps a more mundane activity like sitting at a desk, a comprehensive fit will assess a broader range of factors to get you in a position that you can hold for long periods of time. 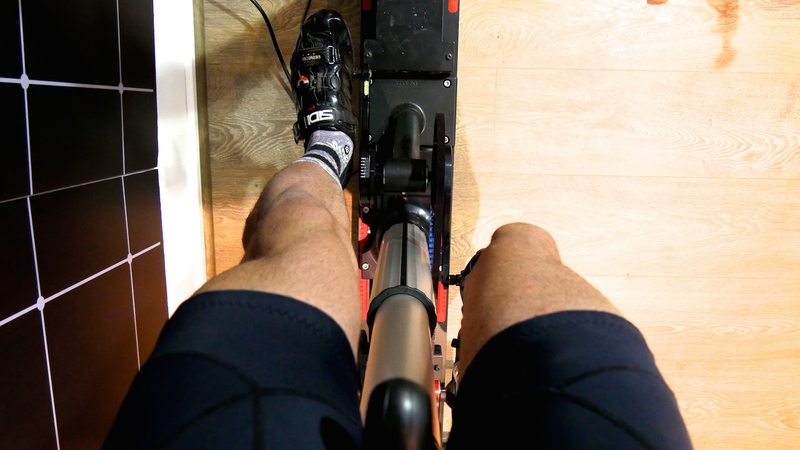 If you’re going from zero riding to a lot within a short period, a comprehensive fit will reduce the time required to adapt to the positioning. A pro bike fitter will be able to make adjustments to optimise your power, aerodynamics and comfort. If you’re planning on doing long rides, or hard and fast rides, you’ll get a lot out of a comprehensive fit. 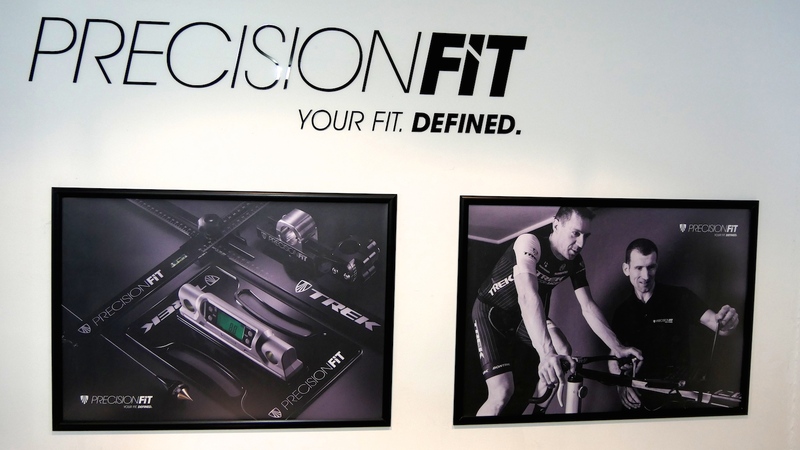 I rolled on down to Cycles Galleria in Melbourne to get a PrecisionFit with Bob, one of their trained fitters. He has extensive experience with Speicialized’s BG Fit too, so I was able to absorb bike fit knowledge from multiple philosophies. 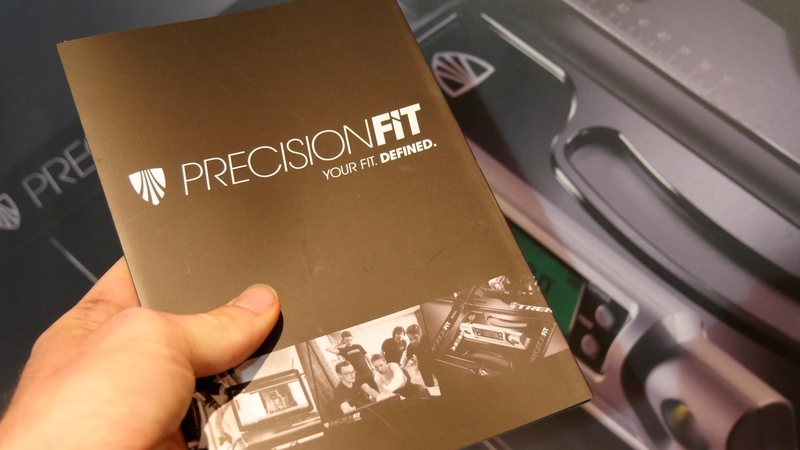 Unlike other fit systems, the PrecisionFit process isn’t as much about technology and data. Instead it relies rather heavily on highly trained fitters like Bob to make the adjustments. 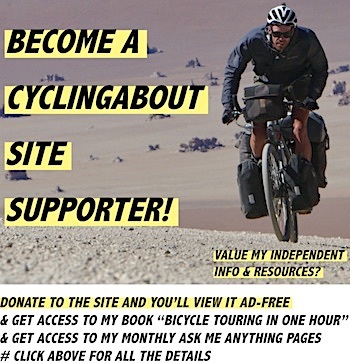 Bob first had a chat to me about my cycling experience and cycling goals. We discussed some of the injuries and pain I’ve experienced in the past, and talked about what a typical ride is for me. We then got on with the physical assessments. Bob started with a standing assessment of my body to see what asymmetries I have. It turned out one of my hips sat higher than the other, although this didn’t carry through to my shoulders which were the same height. Bob then turned to my feet where he looked at my arches and whether I pronate or supinate (arch height/support). Interestingly, the Precision Fit system doesn’t offer foot wedges, so if your arches naturally collapse, try and sort this out before your bike fit. Bob checked the angle at which my feet naturally sat when I stood comfortably. He then assessed my knees, hips and shoulders, before moving on to saddle size (shown above), inseam measurement and handlebar width. 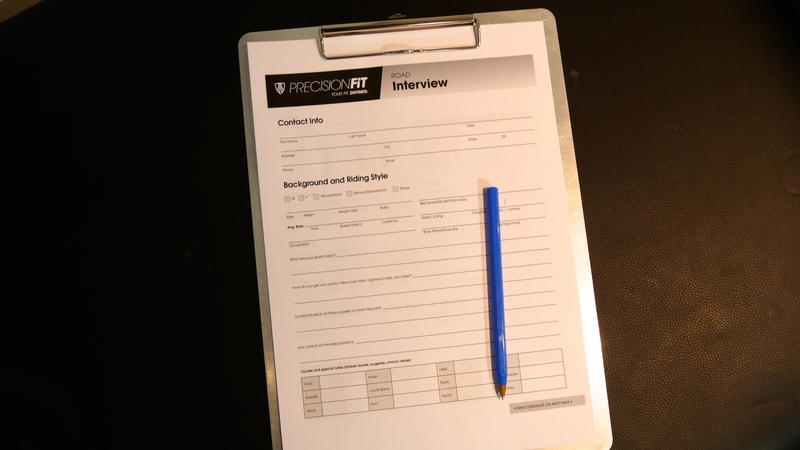 The Precision Fit interview sheet. Measuring my inseam for a reference point on the fit machine. With the measurements complete, it was time for flexibility testing. First my back flexion and sacrum angle (image at top) was measured, then I completed straight leg raises and hip restriction tests. With the exception of my sacrum angle, my overall flexibility is very high. This information is important for Bob so that he knows my flexibility range for on the bike. Lastly, I completed a ‘plank test’ to test for generalised core strength and stability. I managed to hold a plank for over 90 seconds which puts me into the top tier for strength. Once Bob had a good idea about my cycling history, intended bike use and body flexibility/strength, I jumped on the Precision Fit machine. 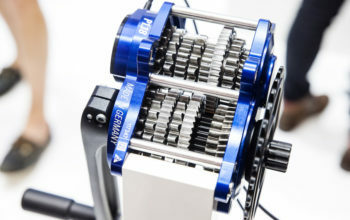 The Precision Fit machine is worth something like US $15,000, and makes it super easy to make incremental adjustments while you’re pedalling. It also measures your left and right leg power which can be maximised in a certain position. Despite what you may be thinking, fit machines are not actually necessary for fitting. In fact, Bob doesn’t always use the fit machine, especially if you’re bringing in a bike which is going to be modified anyway. 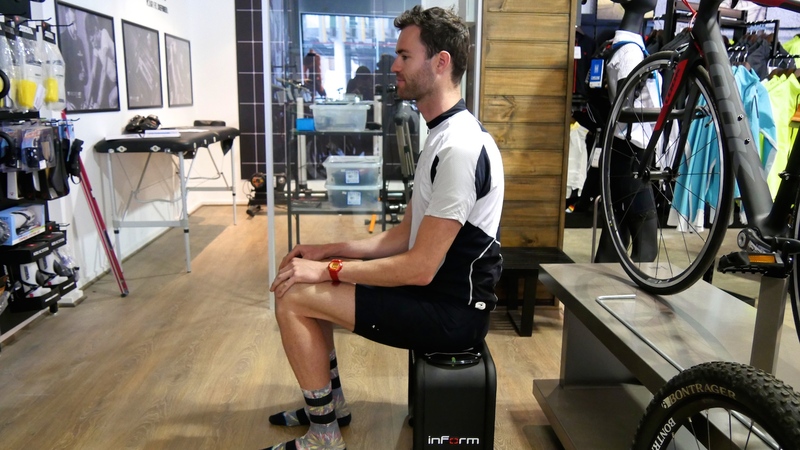 The main advantage of the fit machine is that it both speeds up the fit process and allows you to get an idea for how you will be positioned on a bike that you may not be able to test ride. A camera captures slow motion video of you while you ride, tracking dots that can be stuck to your feet, knees, hips and torso. 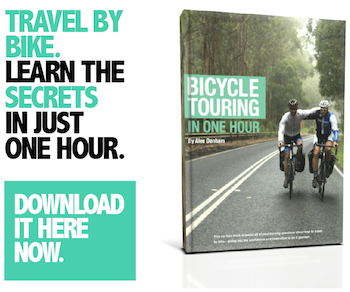 This makes it easier to replay and assess your position when you’re riding hard. We got the fit machine to the point where I looked great and felt comfortable. 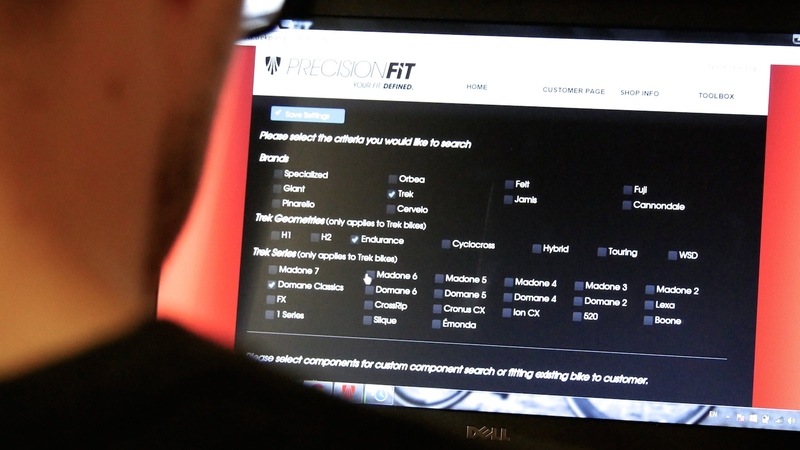 A cool thing about Precision Fit is that they have a catalogue of bikes that will fit you based on your fit dimensions. It is not limited to Trek’s bikes, it also includes brands like Giant, Specialized and Cannondale. Everybody should get a basic bike fit. Even the most flexible, strong and experienced rider should get a basic bike fit every few years. If nothing else, it will confirm that you’re not going to create long-term physical problems due to poor positioning. If you have good flexibility, good core strength and can ride pain-free, you have a wide range of possible bike positions. Due to my flexibility and core strength, I can set my bike up (or rather easily adapt to other bikes) in many different positions. 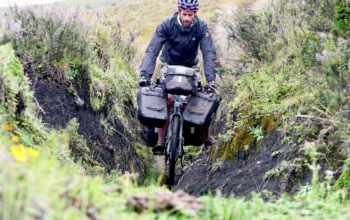 When bike touring I have my handlebars relatively high so that I can observe the scenery. When I’m trying to cover longer distances, I tend to lower my handlebars. On a road race bike I’m as low as possible, without compromising on comfort (a fine line). What I’m getting at here is that if you work on your flexibility and core strength, you will be less susceptible to injury and you’ll have a greater choice of fit and bike options. A comprehensive bike fit isn’t all that important for recreational cyclists. 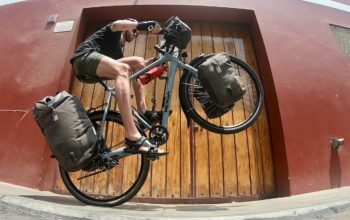 If your desired bike position is rather upright and you have no medical conditions, you will get almost everything you need out of a basic fit with an experienced bike fitter. 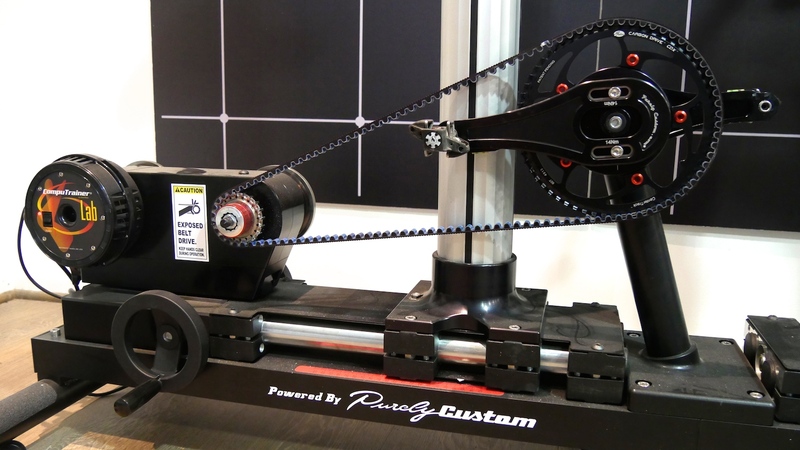 They can get your cleats, seat height, knee angle and reach sorted out very quickly. Just because a fit looks good on a fit machine, doesn’t mean it’s the best fit for you. A fit machine doesn’t take into account your cycling history. If your body is conditioned to a certain fit and position, the ‘perfect fit’ for you may not be what looks best on the fit machine. That is why it is always a good idea to take your bike in when you get a bike fit. Bob and Cycles Galleria Melbourne for both the bike fit, and the lessons on anatomy!